2D animation software is often required for the creation of complex animations and are used by professionals like game developers, cartoonists, architects and artists. Some of the main features that are looked for in a good 2D animator are motion & animation, production environment, proper input & output system, character creation and stage & SFX. However, finding best 2D animation software on the internet is a tedious task and this is the reason, we had done research for you. This article will be covering some of the best 2D animation software with their pros and cons to help you find the one that suits your needs. 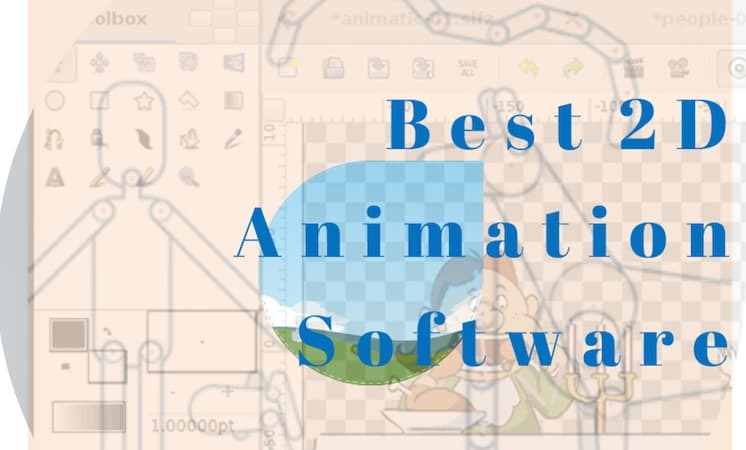 So, without wasting any further time, have a look at our list of 2D animation software and find out the best one. This is one of those 2d animation software which is available for free but has the strength of an industrial software. Synfig Studio allows users to create powerful animations without having to graph and sketch frame by frame. You can create animations with the help of bitmap and vectors in Synfig Studio and all this can be done just by adopting. Synfig Studio has an easy interface which is coupled by a set of facilities which are sophisticated. Synfig Studio requires the downloading and installing of 4 different software. CrazyTalk Animator replaces the traditional animators by creating a new way to make 2D animations. It uses the system of drawing features along with lip sync features that allows users to add 3D features to your 2D animations. It has advanced animation tools for better performance. It is self-acclaimed one of the easiest 2D animation software available online. 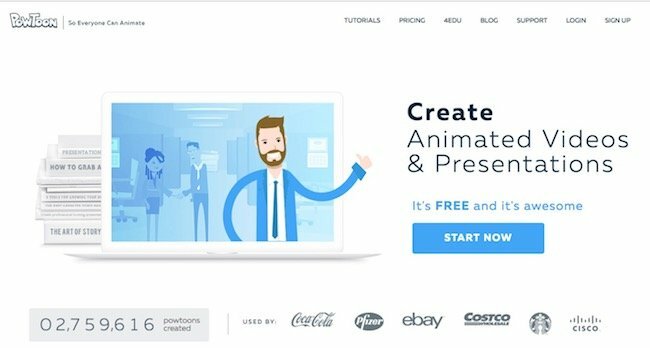 CrazyTalk Animator allows both beginners and professionals to use it with ease. The standard edition is specifically made for beginners who can use it with ease. 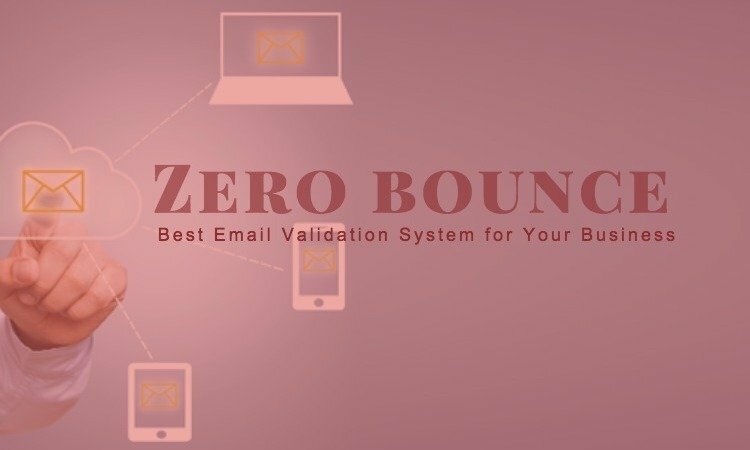 The software needs time to get accustomed to before anyone can use it fluently. 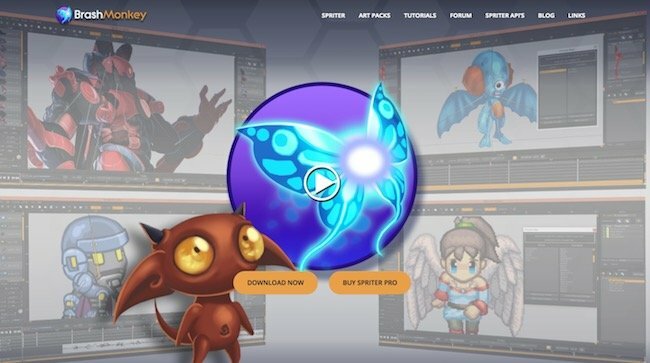 Spine is one of the coolest 2D animators available for free. It is one of the best 2D animators that can be used by programmers and game developers as well as artists. However, as the software contains more tools for the game developers, artists may find it a little cumbersome to use. You can do a lot with your characters when you are using Spine. Easy to use software which is good for use by the gamers. 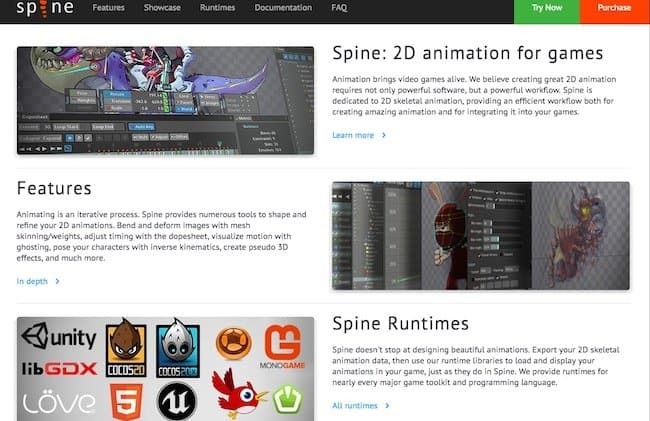 Spine is available for free with many advanced features. Although the software can be used by artists, it won’t give the edge. When you are a professional who has been using 2D animators for ages, Animation Paper will be the thing for you. 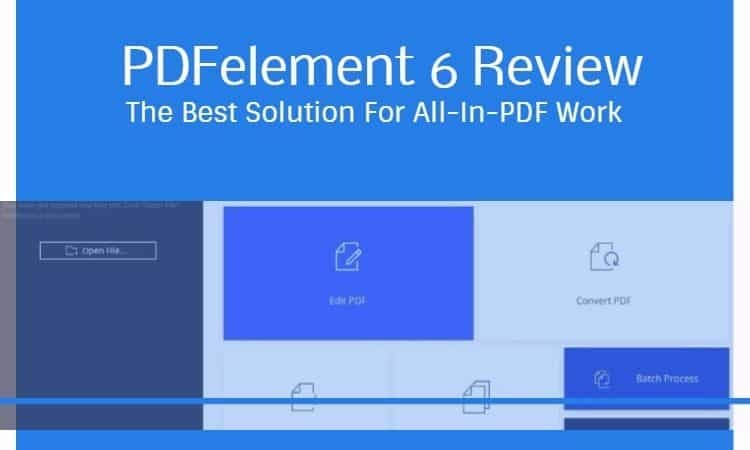 This is a pro software which has multiple features which are simple but easy to use. The powerful tools can be used effortlessly. With Animation Paper you can start with a rough sketch and modify it. Allows professional animation to be done. 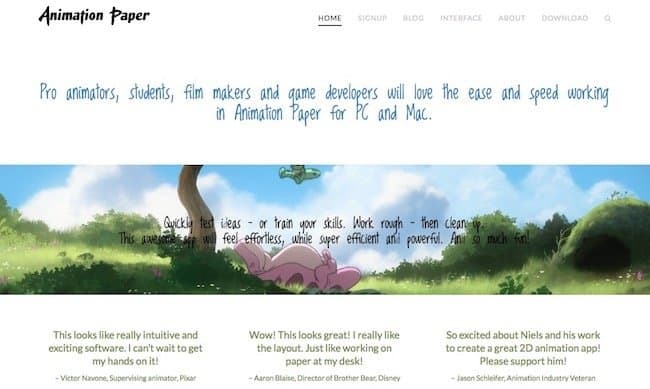 Animation Paper gives you advanced tools which are available for free of cost. Animation Paper is not suitable for being used by novices who have just started. 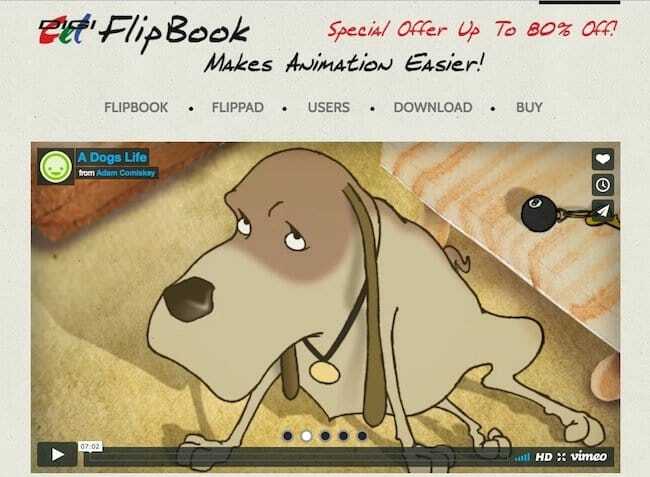 DigiCel FlipBook is one of the best 2D animation software for beginners that can be downloaded from the net. This software can be used for both making various animation projects as well as teaching new people how to use an animation to others. The interface of the software is super easy to use. DigiCel FlipBook is perfect for people who are just starting to learn how to use software. Can be learned on your own without any help. Consists of only basic tools which are used by beginners. If you are looking for a software which is going to allow you to customize all your 2D animations which you have created, then you must try using BrashMonkey. This is a software which allows you to create characters for your games. The tools available in BrashMonkey are specifically for gamers. Whether you are experienced or beginner, BrashMonkey is one of the easiest to use animator. It is available for free and allows you to change designs even in last animation stage. This is specific for game developers as the tools are more game oriented. 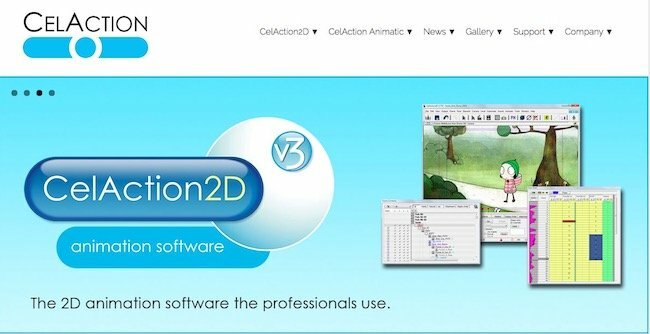 CelAction 2D is one of the most innovative 2D animation software which is available online. With the use of CelAction 2D you can utilize multiple tools such as ergonomic controls with which you can create complex projects comprising of multiple layers. It uses bitmap and vector within a definable workspace. Allows you to create complex projects easily. CelAction 2D is available for free with various tools which provide you with advanced options to work like a professional. This is highly advanced software which is not preferred for beginners. PowToon is one of those cool software which are easy to use yet allows the users to make professional 2D animations. It comes with various templates that can be easily used and applied to the 2D animation that is being created by you and helps in making your work much easier. PowToon also allows you to make animations of various difficulty levels. PowToon can also be used to make various video presentations for professional use. 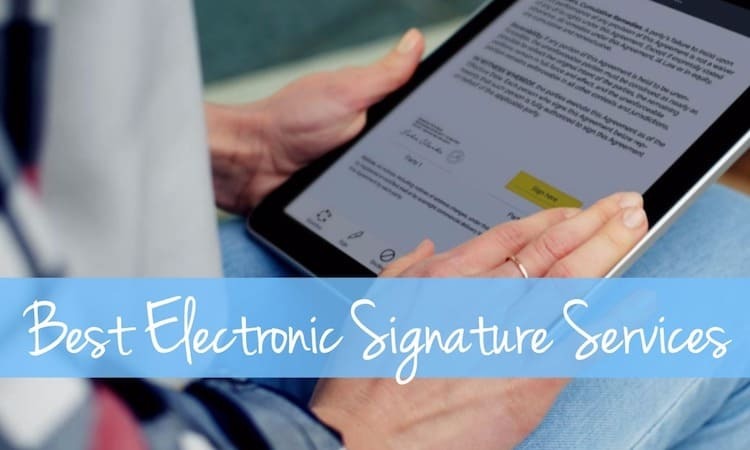 Easy to use yet provides a professional touch to the projects. PowToon is available free of cost. Animata is yet another software which is not suitable for use by the beginners who are just trying their hand out at animating objects. Animata comes with various advanced features which can be justified by professionals only. 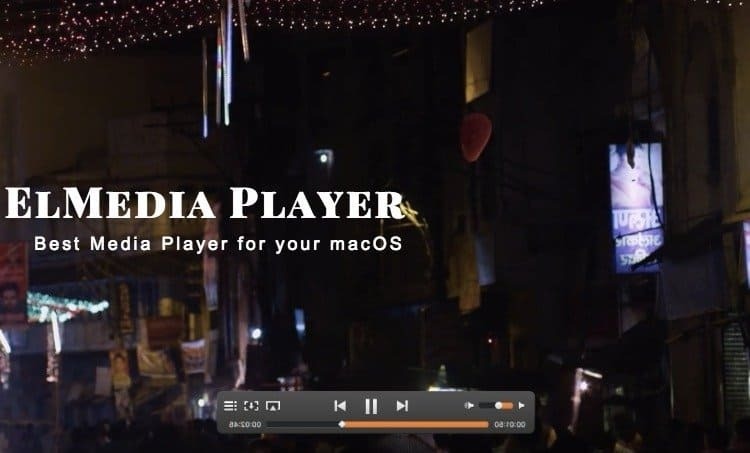 V is available for both Windows as well as Mac OS and provides users with the tools which are capable of creating all kinds of animation functions. Provides users with many advanced options which can be used for making professional level 2D animation. Not suitable for use by novices as it may appear to be a bit complex. 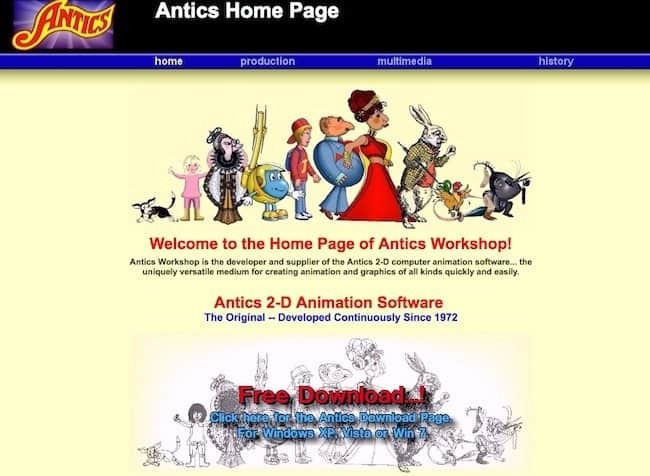 Antics 2-D Animation is not just available for animators, but can be used by graphic designers as well. It is based on the use of vectors and is a unique tool which is quite versatile. This is a full scale cartoon animator, which makes it easier for the artists to work with. Antics 2-D Animation also helps in the production of the animation created via it. Available free and is very easy to use. Consists of cartoon animators which makes it easier for the artists to use it. Not suitable for game developers. 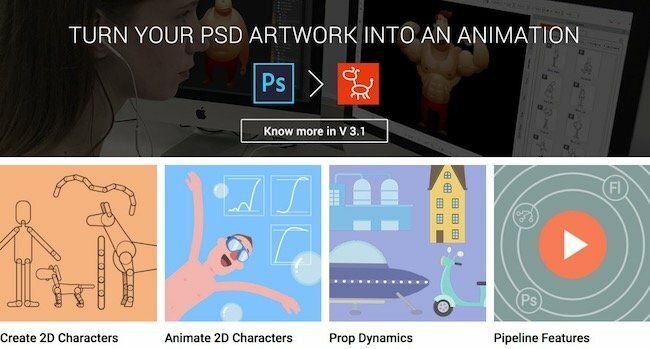 These are some of the best 2D animation software which should be able to satiate the needs of both beginners as well as professional users. If you are using any of these 2D animation software and liked it, do let us know in the comments section below.